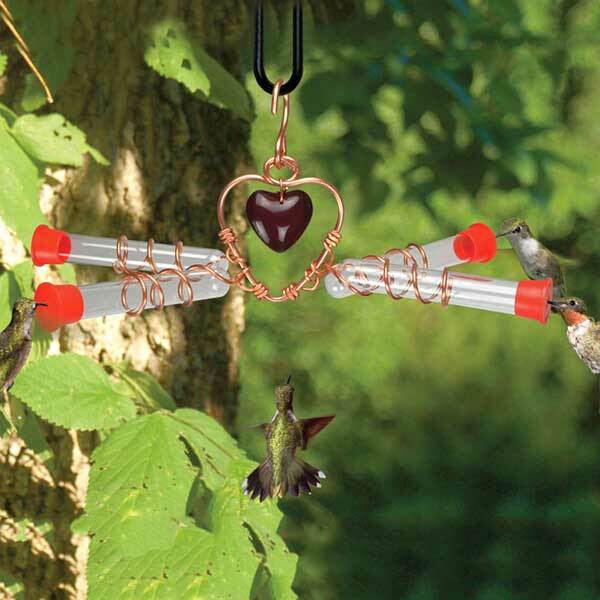 Tweet Heart 4 Tube Hummingbird Feeder. 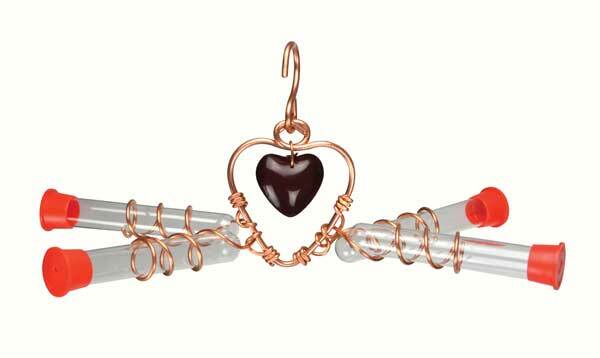 The Tweet Heart 4 Tube Hummingbird Feeder is a beautiful feeder with 4 glass tubes, copper and a glass heart. 4 Feeding Tubes/Stations to feed side-by-side. Attractive Red Glass Heart will attract hummingbirds. Constructed of solid heavy gauge copper.